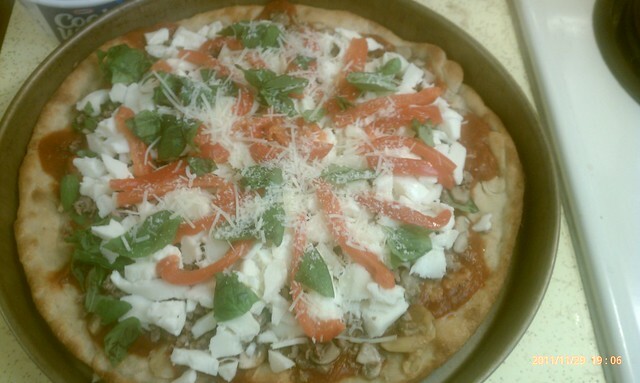 Fresh cheese, mushrooms, tomato sauce, fresh basil, roasted garlic, roasted red peppers, farmers market sausage. It was! I'll be having some more for dinner in just a little while. Want some of that right now! That looks SO GOOD!